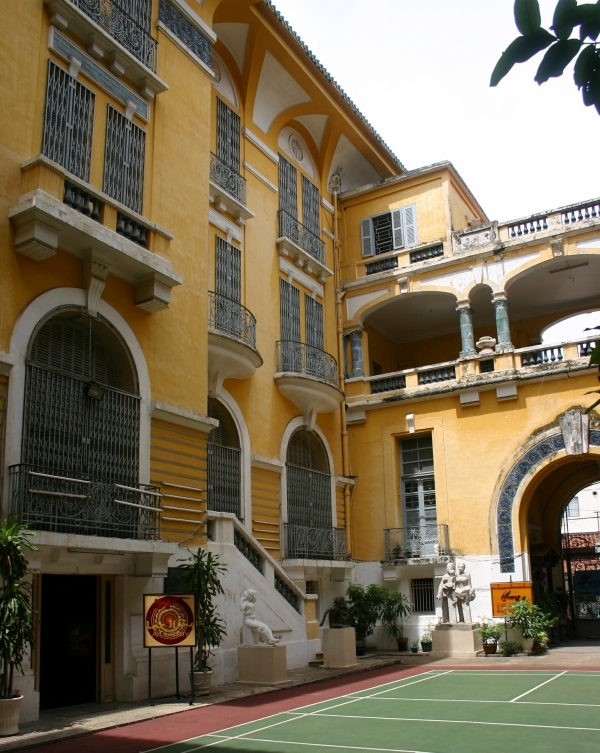 The Ho Chi Minh City Fine Arts Museum is housed in a former commercial building dating from the turn of the twentieth century. The displays cover three floors of the large structure. The first floor displays changing exhibits of contemporary art by local and international artists. The second floor galleries display contemporary art from the museum's permanent collection. The collection features sketches, paintings and statues, many of which focus on the resistance to the various colonial rulers. Lastly, the third floor displays older works from the first century to the early twentieth century. There's a warren of galleries in the basement, accessed through the courtyard in the center of the building. The Fine Arts Museum is open Tuesday to Sunday from 9:00 to 16:45. Admission is 10,000 Dong (-10,000.00 USD). The museum is located on Duc Chinh street just a few blocks from the traffic circle in front of the Ben Thanh Market.